It’s a fact that our schools must focus significant time and energy on physical safety hazards, drills, crisis response plans, student fighting, gangs, and suicide prevention. It’s also a tragic reality that violence, sometimes fatal, is an increasingly common sight in our nation’s schools. When these incidents occur, they tend to be unexpected. Sadly, that also means the strategies required to prevent them or greatly lessen their impact, are often not in place. This means pre-emptive risk prevention is absolutely critical. The Everyday School Safety course will provide you with the information you need, to greatly reduce the risk to your students. You need to ensure an optimal level of safety, with every staff member knowing how to keep your students safe. And that’s exactly what this course will show you. Greater flexibility and lower priced. We know budgets are tight and that it can be difficult to have key people attending the same course at the same time. That’s why we developed the perfect solution for you. It’s now easier and more cost-effective for you to get this essential training than ever before. By embracing online training technology, we’re able to provide you with the exact same training online, that you’d receive if industry expert, Suzanne Sibole, visited you on-site. The benefits to you are huge. Your team will be able to be trained at the times and dates that work best for you. The fee is a fraction of what you’d pay, if Suzanne trained your staff on site. To enroll in the Everyday School Safety course, simply scroll down and click the Enroll in Course button. "I thought Suzanne was an interesting speaker with important knowledge. I was never bored and now feel much better prepared to recognize threats." "The information you have provided is invaluable. I would recommend you to any district." "Suzanne's commitment to staying informed of the latest practices in her field is impressive." 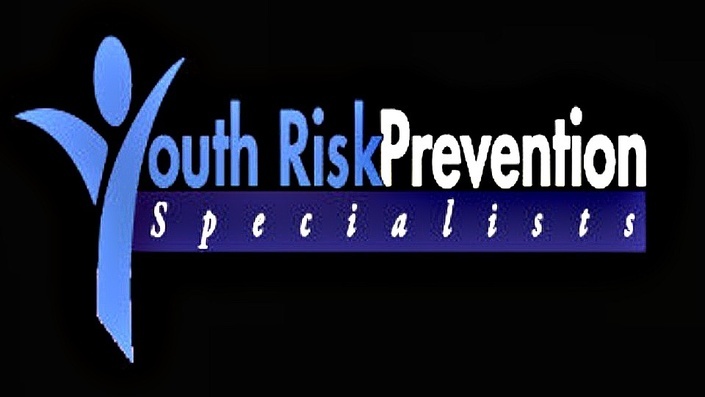 As the founder of Youth Risk Prevention Specialists and creator of the SafeAware© program, I work with school districts nationwide to significantly increase their levels of safety. With the complete SafeAware© program, schools receive step-by-step assistance to implement everyday school safety measures, develop crisis response plans, tabletop exercises and drills, understand the warning signs of suicide and violence, and institute reporting, referral & assessment procedures. I help schools put together violence threat assessment teams by training key staff members to assess and manage potential school threats. I also speak to parents about their critical role in school safety and violence prevention. I hold a B.A. in Psychology, M.S. in Counseling Psychology, and graduate certificates in Substance Abuse and Forensic Criminology. I trained at the Gavin de Becker & Associates Advanced Threat Assessment & Management Academy and with a number of national school safety experts. I'm an active member of the Association of Threat Assessment Professionals (ATAP) and a certified trainer for both REMS (Readiness & Emergency Management for Schools) Emergency Operations Plans, and the Standard Response Protocol (SRP) from the iloveuguys Foundation). I have worked as a School Counselor, AODA Prevention Educator, District Safe & Drug Free Schools Coordinator, and Prevention Consultant for a statewide education service agency. For a sampling of clients served, click here. Accomplishments include leading a team to develop an award-winning district crisis and safety plan and recognition as a "great blogs" author. My blog can be accessed here. I have appeared on WHDT News, Parent Talk Live radio, KKOB Radio, and in print articles, including 5 Experts Share Their Tips on School Emergency & Disaster Planning. You will have access to the course for one full year from the date of purchase. It is a completely self-paced online course so you can decide when to start and when to finish. Of course, if your school district requires you to complete the course in a specific time frame, you will need to finish by that date. Can I download and print the handouts? Absolutely! As an educator myself, it's important to me that you have the information you need to do your job well. Please feel free to use the handouts in your work. How can I train all of my staff members? Once you have enrolled, you will receive a unique code for your staff members to access the course. You will receive periodic updates letting you know how many people have completed the course. If the course does not live up to your expectations or help you create a safer school, simply contact me within 14 days for a full refund.